I love the graphics, statistics, pop up info...all of it. Developer, I would love some sort of date stamp of when I added a bottle or when I sent one to the trash...something. I often think, “what was that great wine I bought last month on vacation and added to the cellar. If I could sort by entry date, I’d be able to find the specific bottle. So happy to see support for this app is continuing. 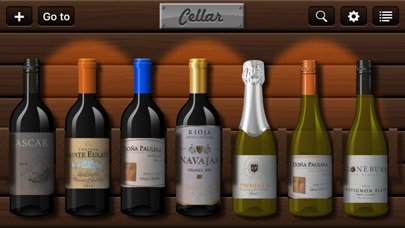 It’s THE only wine app that a visual person like me wants to use. I love the virtual bottles. 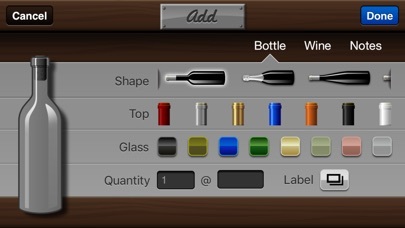 The app’s icons and graphics are a bit cheesy but I love seeing the bottles so much I don’t care. I love that it's my own wine cellar I'm keeping track of. Easy to use. More foil color s(silver, purple/maroon, green) and more info text space please?!? Very time consuming especially if you have the same wine in multiple places, but.... worth the effort and time. Once set up it's a pretty sweet tool. Don't let this app die! I absolutely love this app! I received a notice the last time that I Updated the iOS on my phone. The message read that after the next iOS update, the app would no longer perform. I've tried to reach out to the developer, but I cannot get my email to successfully deliver. This is a great app, don't let it die a needless death, please. 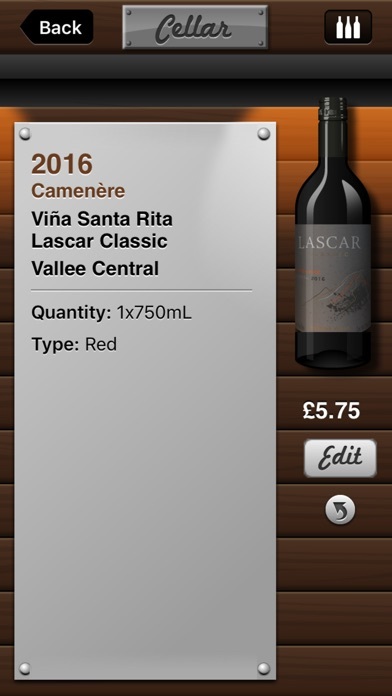 Solid, a little bit cumbersome.Very useful for good size cellar. This is an easy app to use. 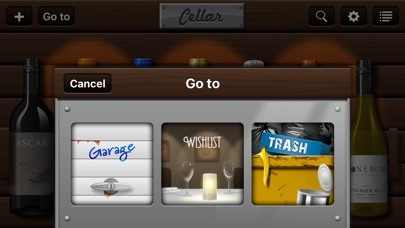 I love the garage and wish list feature so you can save wines you like and reload them when you replenish your stock. I just wish there was a way to sync the database across devices. Love being able to see what wine I have on hand at all times! Also, keeping in "garage" wines I've really enjoyed. 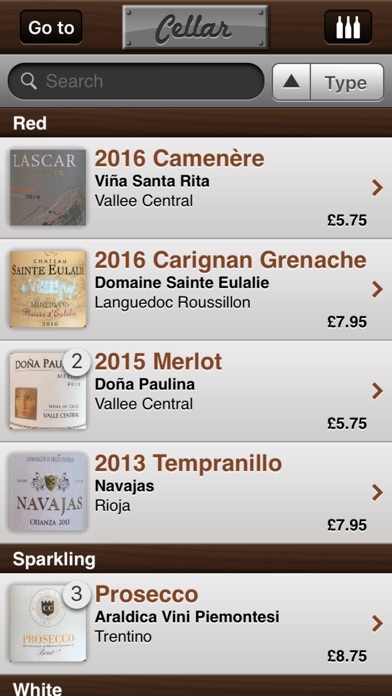 This app has been a great help for me to keep an inventory list of the wines that I have. Very easy to use, and superb interface.